Spinningfields’ simple, understated lines and slim on-trend arms combine effortlessly with a fashionable collection of contemporary designer fabrics to create the perfect retro statement. Its iconic slim tapered legs have a distinct Scandi appeal. Yet generous high backs with integral lumbar support give it classic comfort appeal. 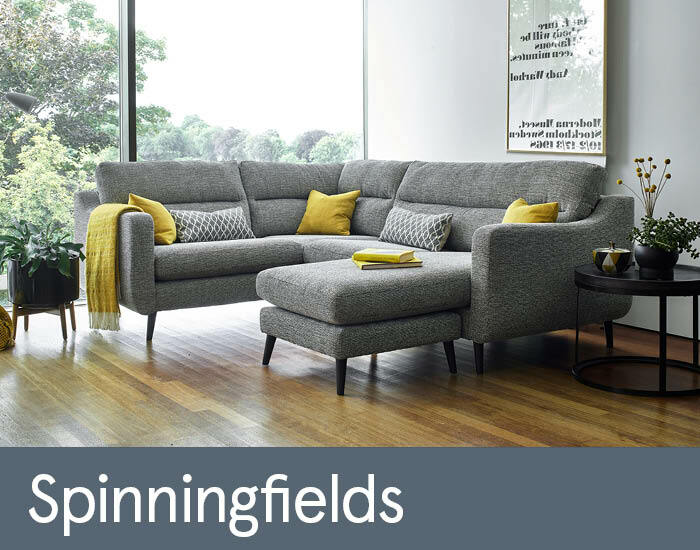 Spinningfields will make a welcome addition to any modern living space regardless of its size, with numerous sofa and cornergroup configurations.